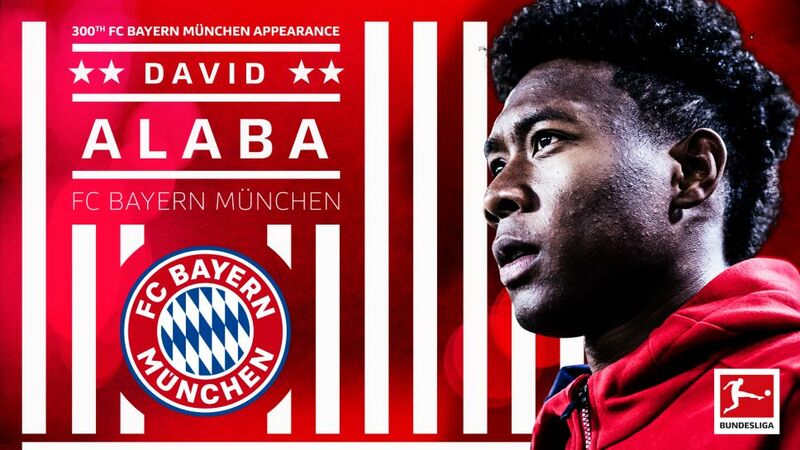 World citizen, child prodigy, national hero, and brilliant Bayern Munich footballer, David Alaba is one of the game's most talented and well-known characters. bundesliga.com has dug deep into Alaba's life and career to draw a clearer picture of an extraordinary man and footballer. The Alaba family is cosmopolitan with a capital C. Dad George is a Nigerian prince and arrived in Vienna to study Economics before becoming the first black guard soldier in the Austrian army — he is now a musician and DJ. David's mother, Gina, is a nurse, but was named Miss Philippines, the country of her birth, in the 1980s. Born in the Austrian capital on 24 June, 1992, David often has the Filipino flag stitched onto his boots while he waved the Nigerian one on the pitch at Wembley after Bayern's 2012/13 UEFA Champions League final win. "He played in the yard or on the playground with other children every day," George Alaba explained when asked about David's first steps in football. "Other parents saw him and were amazed at how he played." That talent was first put to the service of local club Aspern before his father guided him towards Austria Vienna aged 10. By April 2008, at the age of 15, he was named on the first-team subs' bench. A handful of weeks later, he was off to Bayern. Watch: Check out Alaba's top three Bundesliga free-kicks! "I always hated Bayern," admitted Alaba, who had twice turned down the Bundesliga record champions before eventually agreeing to move to Germany. "They had the best training kit and always came to youth tournaments in the nicest bus, and left celebrating." He had been spotted at a youth tournament in Manchester by Bayern scout Werner Kern. "David is an exceptional talent with an excellent attitude, said Kern. "We think he can go very far." He wasn't wrong, was he? Alaba's versatility is the stuff of legend: he started as a playmaker at Austria Wien and has since reprised that role for his national team; he played as a defensive midfielder at Hoffenheim and has featured at centre-back for Bayern, but it is at left-back where he has excelled. The man to thank for putting him there? Louis van Gaal. "He's a left-back, even though he doesn't think so himself," said the single-minded Dutchman, who isn't the type to be argued with. And given Alaba's performances there, we're not about to start. Within a month, he had made his first start in the UEFA Champions League in a Round of 16 first leg tie in Florence against Fiorentina. "He played very well. And you absolutely didn't see that it was his first game for us from the start," said Bayern great Karl-Heinz Rummenigge. "He didn't disappoint my faith in him," said the hard-to-please Van Gaal, despite his team's 3-2 defeat. "Hats off!" said a suitably impressed Bastian Schweinsteiger. It was just the early days of a career that would lead to the Austrian full-back bringing up two centuries of Bundesliga appearances for Bayern at the age of 25, in the record champions' 2-1 win over Schalke on Matchday 22 of the 2017/18 season. He then made his 300th career appearance - still aged just 25 - on Matchday 31 of the 2017/18 season at Hannover 96. Bayern often use loan spells to give their most promising youngsters a chance to gain Bundesliga experience before returning to take up a first-team place. Alaba joined Philipp Lahm and Toni Kroos as the most successful examples of that strategy when he came back from six fruitful months at Hoffenheim in summer 2011. "Personally, I think another year in Hoffenheim would do my development good," Alaba stated at the end of his Sinsheim stint. Bayern boss Jupp Heynckes thought otherwise, brought him back to Bavaria and a year later, he had played in a Champions League semi-final against Real Madrid.